I have been working on my Pathfinding Layout Class so the papers were on my table. So I grabbed the Chocolate paper and using the Bone Folder folded it in half for the card base. I also had a bag of random leftover Cricut cuts sitting on my table from the page a made for the ABC Blog Hop on Saturday. In that bag, I found the leaves and the Colonial White shape in. Art Philosophy Cricut Cartridge was used to cut the leaves and the Colonial White shape. 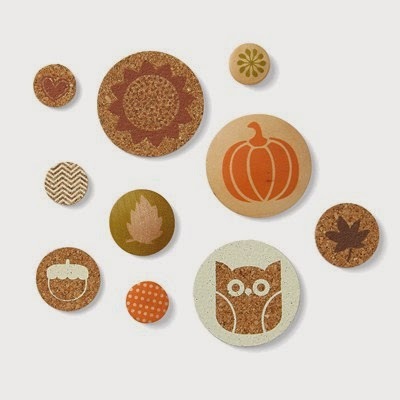 The Harvest Happiness stamp set was used to stamp the leaves that were cut from the retired Elemental paper, which is still available in Studio J. The owl and two embellishments on the bottom right are from the Pathfinding Assortment and were left from my Pathfinding Layout Class layouts! 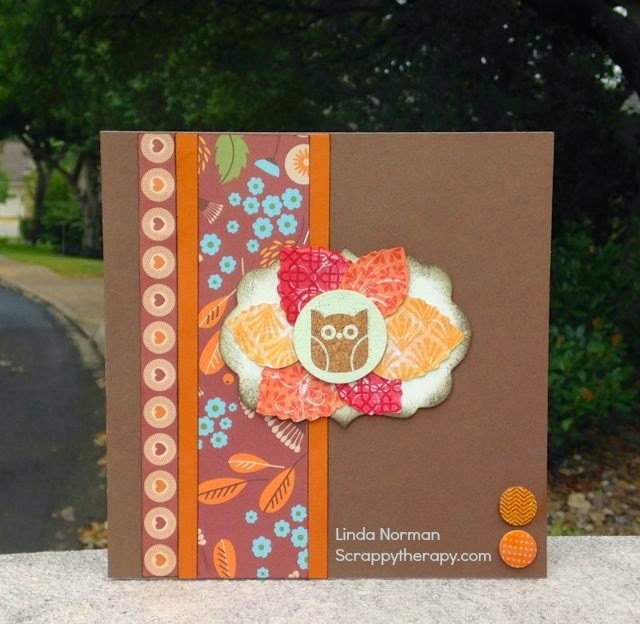 What a lovely card, love the leaves framing the owl! Great card. Love the pathfinding paper. Cute! I am working on the Pathfinding WOTG right now too and will definitely be taking the scraps and making some cards! :) Great job!